A luxurious 7/8 hour charter which will cover all of the "North Sounds" (Cayman's Premier Snorkel Location) Best Sites. 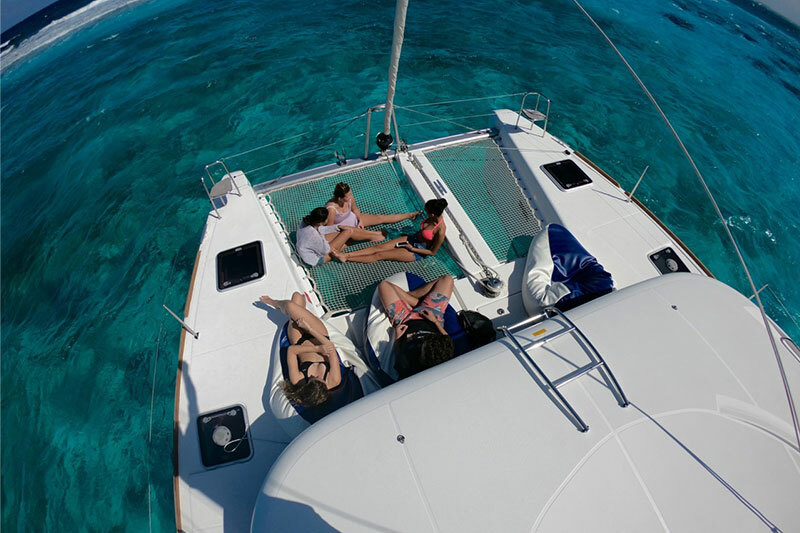 Starting with the rarely visited "Original Stingray City" we drop a mile or so down to the off the beaten path "Barrier Reef" Then its time to relax on the forward nets on our way to the "Rum Point Coral Gardens" boasting Vistas of the North Side of the Island. Now its time for lunch with options to eat at the "Rum Point Wreck Bar" or the "Kaibo Beach Bar and Grill" or we shall anchor off to eat a catered lunch onboard (your choice). A short distance away lies "Starfish Beach" with a chance to digest, we shall lounge in the ankle deep water checking out the "Sea Stars" Finally its time to see the Phenomenal 'Stingray City Sandbar" where we shall stand in the shallow Crystal Azure as 100 plus Southern Stingrays brush past our bodies. To finish its time to kick back and enjoy the steady sail back to the the Yacht Club telling tales of our Maritime Adventures. Suggested Start times are 8.00am or 10/11.00am, depending on Season which allows us to finish at Sunset. Reasonably priced at US$300 per hour, please see the "Whats Included" section on all Charters. Maximum 20 passengers, for Ultimate comfort we suggest up to 12 guests.